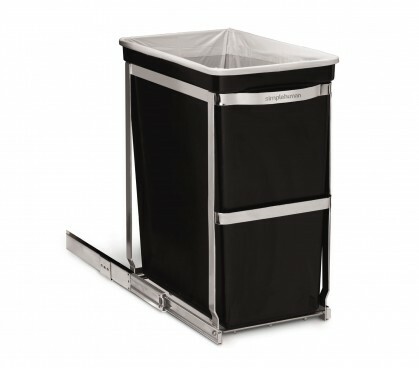 Our pull-out can is engineered for years of use. 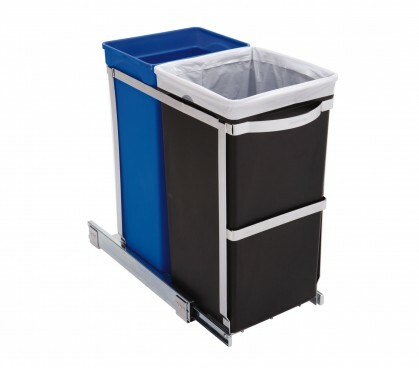 This trash can has a tough all-steel frame and glides fully out of the cabinet on smooth commercial-grade ball-bearing tracks for quick and easy access. Hangs neatly inside the cabinet door for quick and easy access while you're busy at the counter. 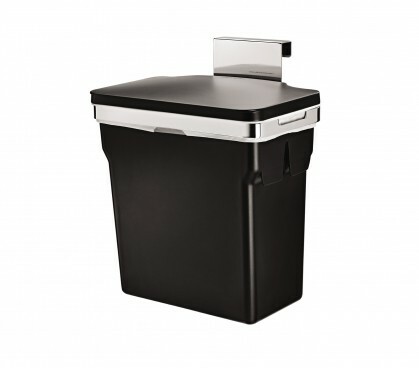 The heavy-duty steel frame and durable plastic bucket make it solid and stable – almost too nice to hide away!